On a recent research trip to Barbados, I stopped by the Mount Gay Visitors Center. There, between tastes of a variety of rums, tour guides regaled me with a heroic tale of Barbados’s place in the invention of rum. Afterwards, I was handed a brochure which proclaimed Mount Gay to be “the rum that invented rum.” The reasoning for this marketing strategy is simple enough—Mount Gay is one of many distilleries that makes a financial killing off of linking their product to a happy history of ingenuity and originality. Yet accounts of eighteenth-century distillery disasters suggest that this invention and innovation of rum was often undergirded by shocking violence. A little over a year later, an enslaved distiller in Isaac White’s Boston distillery dropped a pail of spirits on the floor, which quickly caught fire. The fire spread to the poor distiller’s rum-soaked clothes, sending the burning man running “into the sea to quench himself.” Unfortunately, he succumbed to his burns a short time later. Then, in 1753, a boy playing in a New York distillery became caught in the gears of a horse-powered pump, ultimately “being jammup to the Beams of the Loft above had his Brains squeezout.” Other unfortunate distillery workers in North America and the West Indies drowned in syrupy cisterns of molasses, succumbed to industrial explosions, and were crushed by thousand-pound hogsheads of rum. These gruesome tales comprise just a handful of the many distillery accidents that I have encountered during my research into the history of rum production in the Atlantic world. Such stories are frequently disturbing, and always sad. 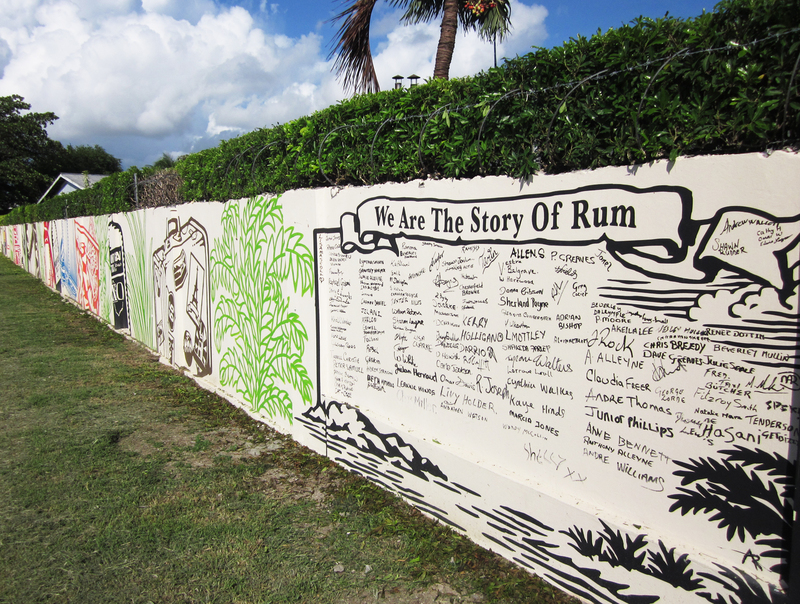 But they are also valuable sources for understanding how rum was produced in the eighteenth century. Indeed, in recounting the times when distillation went horribly wrong, owners, overseers, and observers provided rich descriptions of how the work was supposed to progress. In the examples above, for instance, a reader can learn that some Caribbean distillery workers were born in Africa, that planters considered firekeepers to be a specialized occupation, that distilleries were often located close to the sea, and that horse-powered pumps supplied distilleries with the water necessary to condense alcohol vapors into consumable rum. This exchange suggests how plantation owners thought distilleries should work: a white manager would watch to be sure that the work was carried out properly and nothing went missing, while enslaved distillers would perform the variety of skilled and unskilled tasks associated with making rum. However, the circumstances of this unfortunate accident suggest that, in reality, enslaved distillers often performed their work without any sort of hired overseer in sight. Finally, and not surprisingly, the records of industrial disasters in eighteenth-century rum distilleries demonstrate that enslaved workers occupied the most dangerous occupations. Except for the boy in New York who died in the grips of the pump, all of the other accounts of distillery deaths that I have encountered described the deaths of enslaved men. Additionally, countless other men and women were worked to death in the cane fields, mills, and boiling houses where molasses and other sugar byproducts—the base ingredients for rum—were produced. The danger of working in distilleries points to a central tension of the rum production complex, whether in Barbados, Boston, or somewhere in between. Within a system where individual owners had every financial incentive to keep their workers—especially those with the learned skills that enslaved distillers acquired—alive, the nature of rum production made it impossible to keep many coerced laborers safe from the dangers of their job. Tragically, in the eighteenth century Atlantic world, the demand for rum won out over the safety of its producers. “18 July 1734,” Robert Cunyngham Wastebook, 1731-1734, CS96/3104/69, National Archives of Scotland [NAS], Edinburgh, Scotland; Robert Cunyngham, “Inventory & Estimate of my Plantation at Cayon,” 1731, CS96/3102, NAS. “One Day Last Week,” 25 August 1735, The Boston Evening-Post. Thank you to Jared Hardesty for originally pointing this article out to me. “Last Saturday Afternoon,” 30 January 1753, Pennsylvania Gazette. John Pool letter to the Duchess of Chandos, 15 May 1780, STB Box 26/38, The Huntington Library [HL], San Marino, California; Anne Eliza Brydges letter to Poole and East, 10 November 1780, STB Box 25/28, HL; Edward East letter to Duchess of Chandos, 10 April 1781, STB Box 26/11, HL. And then there was the Great Molasses Flood in Boston. Thank for this article, and especially for going outside of the New England production of rum.